Woodside Dog Walks is a family business based in Blackburn West Lothian run by Gemma Duncan. 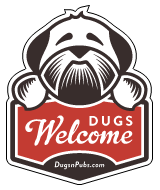 We are happy to walk your dog in any area of West Lothian, including Bathgate and Livingston. We will always walk your dog with care and consideration and treat them as if they were one of our own. Before we start walking your dog it’s important that we get to know them, for this reason we always set up a consultation meeting to meet both you and your dog(s), to ensure we have all the information needed to care for them. From home walks, we walk your dog in the areas surrounding your home, prices start at £6 for a 40 minute walk. Away from home walks, where we safely transport your dog to another area for their walk, prices start at £8 for a 40 minute walk. We also offer 2 hour away from home weekend walks, which are great if you have an event to go to and want your dog occupied for a portion of the day, prices start at £20. The time stated is the length of time your dog will be walked, it doesn’t include the time it takes to get your dog ready for their walk, the time it takes to travel to the walk, or the time it takes to settle them back home. We only walk dogs together if they are from the same household, this means that your dog(s) will receive our full attention! If you have any questions, or would like to organise a consultation, please feel free to contact us at any time on 07910 719 557 or check out our website.